Beautiful food is what we’ve come to expect when we pick up recipes on the internet. Food photography has become huge, and there are a lot of bloggers out there who do a wonderful job of posing and photographing with the right props, lighting, and special touches. However, that’s probably not what you’re going to find here the majority of the time. I spent a lot of time and a fair amount of resources learning to photograph jewelry when I maintained an Etsy storefront. Someday I hope to have time to reopen the store… in a different season, but it’s not really my ambition to be a food blogger. 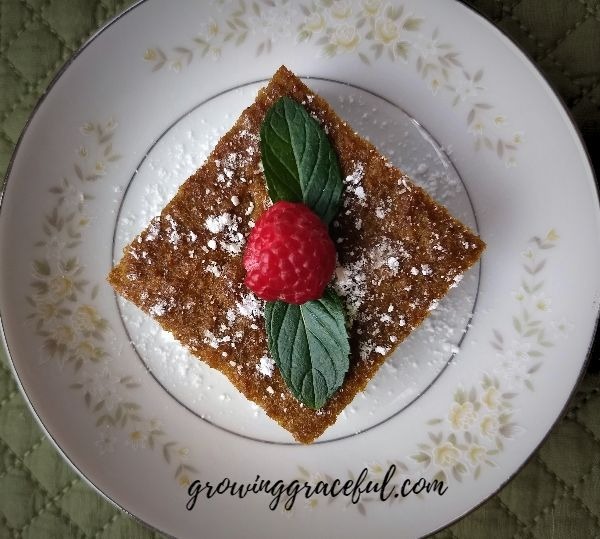 Recipes are just a small part of what I hope to accomplish here, so I want my food posts to give you reasonable expectations and practical, encouraging instruction in order to help you fill your home and your families with foods that are easy, delicious and good for you. Why? Because if I could put one label on the purpose I feel God has given me within the Body of Christ, it is to help build up the health of the church: Spiritually, Emotionally, and Physically. I think if we’re thinking right thoughts that conform to the will of God, we will develop healthy emotions, and we will desire to be good stewards of our bodies (and everything else God entrusts to us). If you have been saved into the Kingdom of God, your body is the temple of the Lord. If we’re sick, broken down and depressed, we won’t have the energy or wherewithal to give of ourselves. In Kingdom talk, if the individuals who make up the Body of Christ are not well, not present, and not capable of contributing, the whole Body suffers and so does the work that God has prepared in advance that we should do. We should all desire to be growing up, spiritually and emotionally, to be mature in Christ. If we’re doing that, we will be making wise choices every single day. We’ll be capable of being out there as shining lights in a dark world. So some days it’s my goal to give you food for thought (#thinkright), some days I’m aiming for physically nourishing options (#eatright & #moveright), but always it is in the spirit of encouragement! This post contains Amazon Affiliate links. When you make a purchase through one of my links, my family will receive a small commission which blesses us, and it will not cost you anything extra. Thank you! There are so many good recipes out there, but sometimes you just want what tastes familiar. For that reason, I recently shared a gluten-free, Sourdough Easy Butter Cake recipe with you, but half my family is now eating low carb. For the rest of us, I came up with this grain-free, sugar-free, low carb/keto version, and it hits the spot! This is a super easy recipe, and has become a staple at our house. It is so versatile that you can serve it with whipped cream and berries, top it with a keto cream cheese or coconut frosting, or eat it all by itself. Don’t forget to download your Low Carb,Keto Butter Cake PDF. Preheat oven to 350 degrees and place an 8*8 inch pan inside to get hot. Warm your butter until it is soft, or even partially melted. Add vanilla, eggs, applesauce and almond milk. In a separate bowl, blend: almond flour, coconut flour, baking soda, erythritol and stevia (or whole leaf stevia; Swerve may also work, though I have not tried it.) Add to your wet ingredients and combine thoroughly. Remove pan from oven and melt butter or coconut oil around the sides and bottom (just a little). Ladle batter into the pan, smooth the top, and bake for 20-25 minutes. *Optional: if you’d like to add some subtle fruity flavor, try adding 3 tablespoons of orange zest. It is delicious! If you like smaller pieces, this cuts nicely into 12, which will reduce all the macros. *Macros are calculated in cronometer.com. As erythritol is passed out of the body and does not impact my blood sugar levels, I do not count it in the final carb count. Your photos are gorgeous! We aren’t really fans of keto unless it’s medically needed, but I was surprised when I tried it out a few months ago and found that we were already making a lot of meals in a keto lifestyle without even knowing it. We do seem to eat low carb in different seasons of life (depending on exercise goals mostly). That cake looks so good and sounds so healthy though!!! Definitely makes me want to try it!